The first months of a smartphone's life are of sheer happiness for the user as the device is fast and runs smoothly, but as time goes by we gradually lose that feeling. 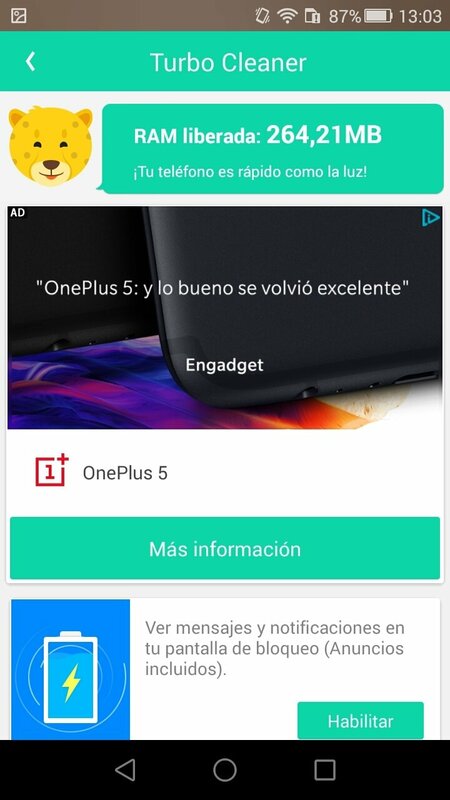 Our phone gets flooded with useless or duplicate files, thousands of photos that take up too much space and apps that we haven't used in months. All the latter causes the system to run slower. Get rid of the files that slow down your smartphone after a few months of use. 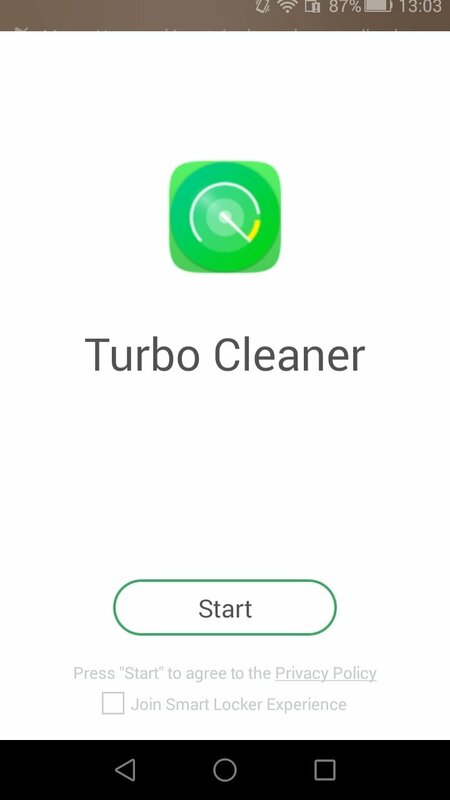 Applications such as the famous Clean Master or this Turbo Cleaner, equally complete and efficient, allow us to clean our smartphone quickly and thoroughly to bring back its initial functioning. All these apps work without requiring a root process, which is definitely a great improvement regarding the past. Memory booster: a tool that reduces the use of your RAM memory killing useless background processes. 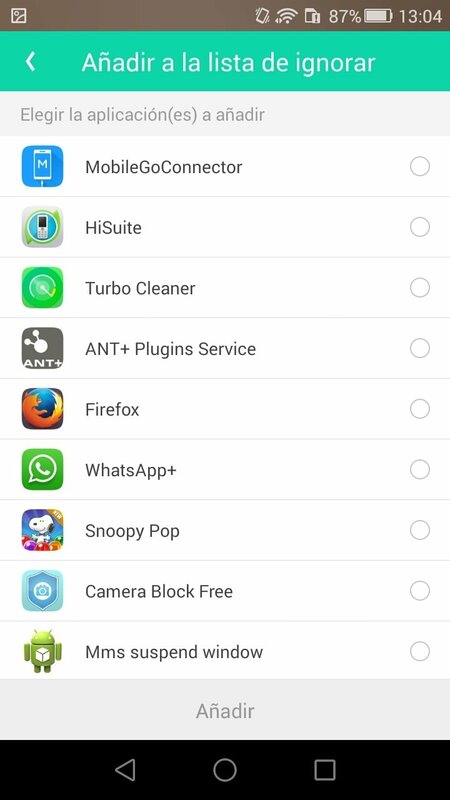 Junk file cleaner: removes useless files that are stored after installing apps, gets rid of duplicates and uninstalls applications that you don't use to gain free space. 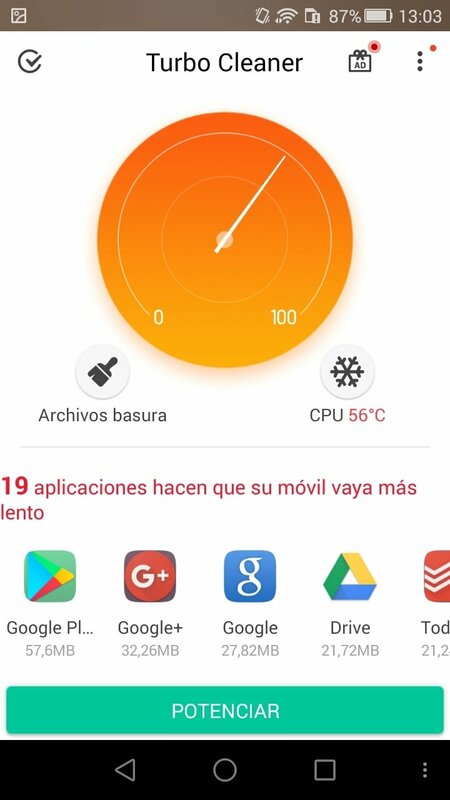 CPU cooler: applications use up many resources to run, overheating the phone. This tool gives our device a rest cooling it down between 30 and 60 seconds to bring back its usual functioning. 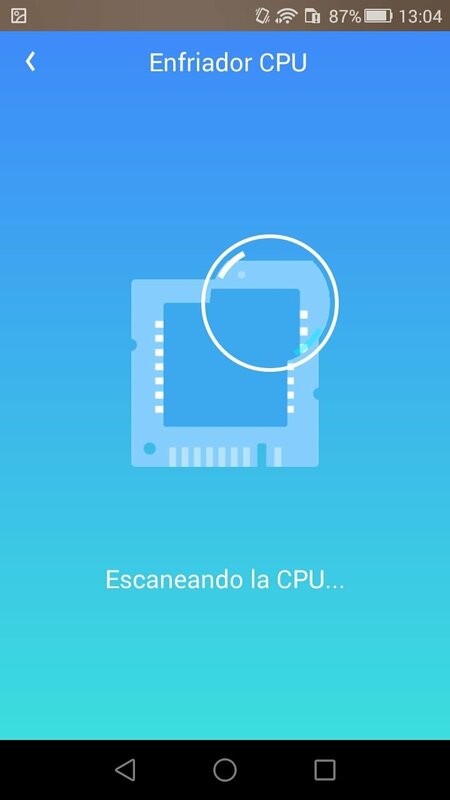 Furthermore, this analysis tool offers us the chance to save battery thanks to the same feature with which it saves RAM memory. 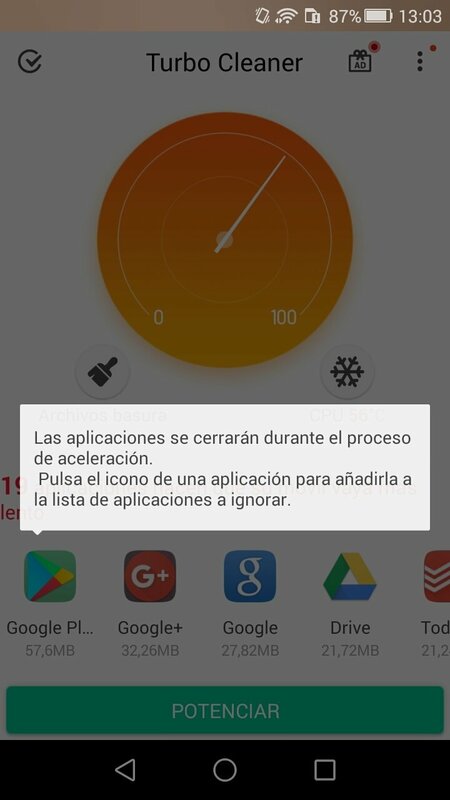 In other words, shutting down processes running in the background that consume the phone's energy. 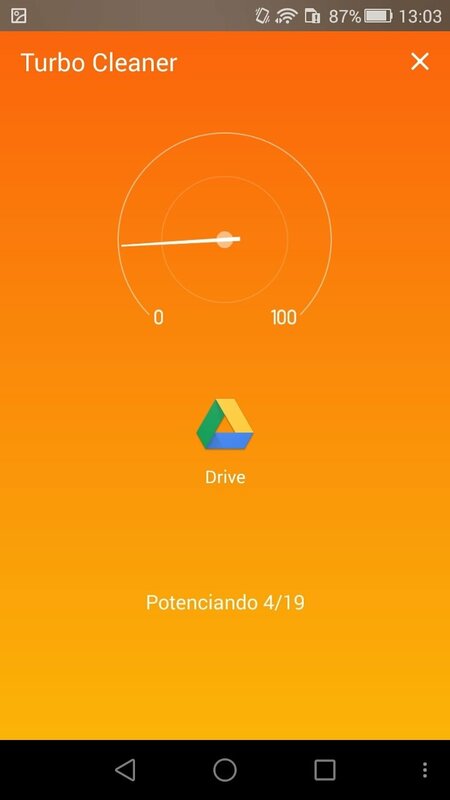 With a very simple and intuitive design of the interface and hardly weighing 3 MB, it has become an app that's almost essential on any smartphone or tablet.